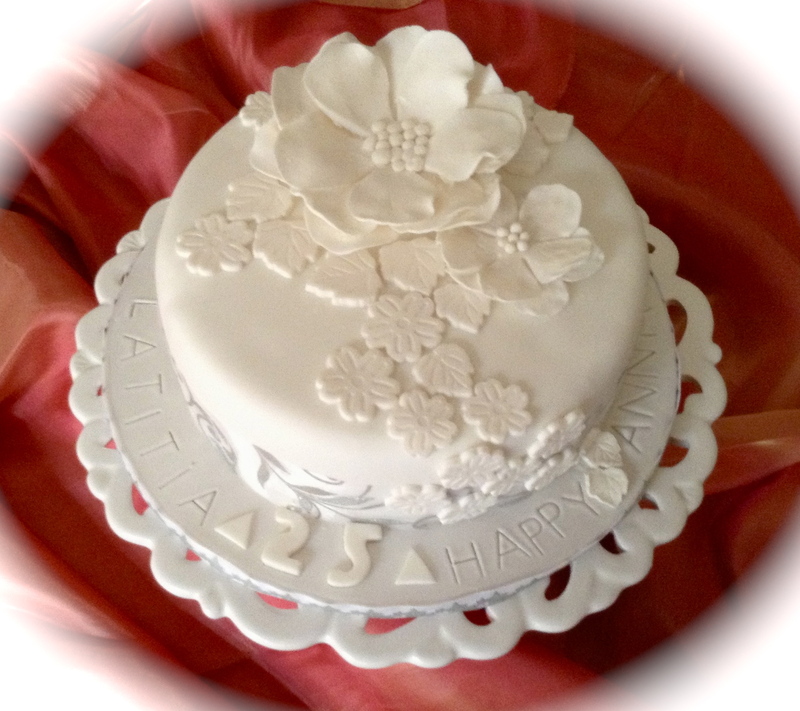 A cake for a lovely couple celebrating 25 years together. Congratulations Latitia and Ken. Light fruit cake covered in RTR icing.